Should You Choose a Hotel Based on Price? Reading hotel ratings is like reading real estate listings. You have to read between the lines. Having traveled the world for over 60 years, I have stayed in the worst and the best – and the best hotel is better!!! And something to keep in mind is that European hotel ratings are very different from the U.S. hotels, they are evaluated by a different criteria. When booking a hotel online, there are oh so many things you don’t know. Here is my “helpful hint” — use a Certified Travel Agent – Cruise & Tour Planners!!! You still want to do it yourself? Then you are on your own and that can be an uncomfortable and expensive experience. Location: Sounds like a real estate listing. But this is huge for finding a hotel. Where do you WANT to be? In a city, on a beach, close to the train station, near the airport, at a cruise terminal? 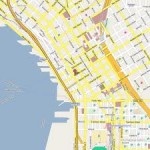 Do you need to have a place to eat near by? Does the management close the gate at 6 PM. The different room categories: Do you know what partial ocean view, ocean view, oceanfront, mountain view, city view, and nothing about a view means? I have toured hundreds of hotel rooms and read their descriptions and you can’t believe what you read. How about the hotel in Hawaii that had fabulous priced rooms that faced another building about 6 feet away looking into their rooms? Or the view of the top of the roof and the garbage dump area when the dump trucks came by at 5 AM. What are you wanting to see? Or, better yet, not wanting to see? Or does it matter? 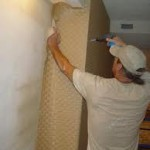 Renovation: Is the hotel under renovation? Will the contractors be working close by and early in the morning? Is the carpet rolled up in the hallways? Is the pool closed? How about the restaurant? This one is probably the worst – bed bugs!!! Doesn’t matter the class of the hotel, this has become a huge problem all over the world. Take a flashlight and make the room as dark as possible. Look around light switch sockets, bed railings, and edges of the carpet. They like dark. Also fleas. They are really hard to see. Best suggestion is do not put your suitcases or clothes on the floors and wear slippers. Comfortable beds: In the last few years there has been a huge shift by hotels to more comfortable bedding, pillows, and comforters. If your bed has a blanket in a sack – make them give you a new blanket. They change the sacks, but I have had some filthy blankets. Some hotels now have pillow menus. If you have allergies, ask for the kind of pillow that makes you comfortable. Bathrooms – oh my!!! At one time in my life, my husband and I were in the remodeling business. My huge complaint is dirty, moldy bathrooms. Check behind the shower curtain and around the bottom of the showers. The floors around the toilet and under the vanities must be clean. Smoking/non smoking: If you request a non smoking room and know someone has smoked in it, tell the desk at once. If they are full and can’t change you, ask for an ozone machine and go out to dinner for an hour. Some floors are totally non smoking, but in Asia, they can smoke in the hallways and it can come under the doors. You might want to stuff towels along there before you go to bed. Hotel Management: Many times the hotel is great and then the owners change managers and it goes downhill quickly. I have resources to tell me how hotels are doing in the last few weeks or months. There is a high turnover in management and that makes such a difference in the condition of that property. 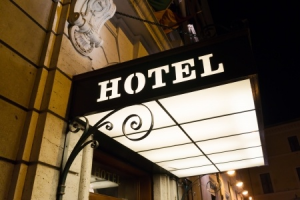 Known chains: These are the safest way to book hotels. Marriott, Fairmont, Best Western in Europe, etc. I have my favorites and would be happy to share with you. Then there are groups of hotels such as “Leading Hotels of the World“, “Small Leading Hotels of the World”, “JDB Fine Hotels“, “Orient Express Hotels” and many more. To qualify to be in these groups, the hotels must maintain very high standards. Price is not always the issue. I can book any of them without a worry. They are closely monitored. Amenities: Are they the ones you’re interested in such as a pool, or a complimentary breakfast? Frequent Flyer or Loyalty Programs: Are they associated with any of the loyalty programs or frequent flyer programs that you’re involved with? Hotel reviews: Especially in today’s internet world, online reviews are easy to find and if someone is unhappy with something about a hotel, they can’t wait to post their disappointment. Also check for the “star” ratings the hotel has…4-5 stars would be a great rating. After reading these tips, I’m sure you’ll agree that there is more to choosing a good hotel than price alone, it can be a long process if you want to get it right…keep in mind, these are things, as a Travel professional I will do for you. Now I have had my say about booking a hotel. Again, I repeat, use a Travel Professional. Now, if you only need one or two nights and are attending a convention or meetings, then book their convention hotel. I’ve not had any issues in those situations. But for a vacation or holiday, talk to someone who has an “ear to the ground” and can guide you. I haven’t been everywhere, but I have resources who have and are going all the time. 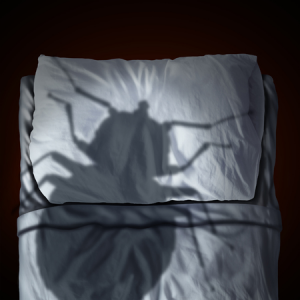 Nighty night -Sleep tight-Don’t let the bed bugs bite!! !